It is such a pleasure to offer this Orange Scalp Stimulator Formulation for Happy Hair which is part of my FREE Essential Summer Camp Webinar Series, “Happy Hair!” My eldest daughter, Danai Schulte, stylist and owner of Maven Beverly Hills teaches why it is important to use the essential oil of Orange to clean the scalp and Oregano, Wild Thyme and Rosemary to kill any bacteria or fungus that could be on the scalp plus stimulate the scalp for healthy and strong hair. She also shows you how to apply it. Danai has been using essential oils since she was 7 years old. It is hard to believe that I have been involved with essential oils for that long! Wow! I love Orange essential oil as I have stated before because of the wonderful memories that I have with Orange blossoms and Oranges! 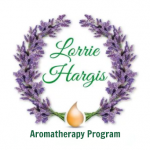 Living in California with Orange Orchards is such a pleasant experience and that is what is so wonderful about Aromatherapy it is the one therapy that is so pleasurable to use as you heal yourself. Here is the video with my beautiful daughter Danai in Beverly Hills. Learn how to use Orange essential oil and Enjoy this formulation for Gorgeous Hair! HAPPY HAIR!!!! Mix essential oils and carrier oils in 2 oz. amber bottle. Roll the bottle between your hands. Place on label. Apply to the scalp. Let sit on the scalp for 5 minutes; Wash out with Shampoo and Rinse with warm water. Contraindications: Do not use in pregnancy or with children under 8 years of age. This entry was posted in Clean the Scalp, Happy Hair, News Updates, Orange Essential Oil, Orange Scalp Stimulator for Happy Hair, Oregano essential oil, Rosemary essential oil, Stimulate, Stimulate the Scalp, Wild Thyme essential oil and tagged Clean Scalp, Danai Schulte, DIY, Hair Formulations with Orange Essential Oils, Healthy Hair, Healthy Scalp, Maven Beverly Hills, Natures Sunshine, Orange Essential Oil, Oregano essential oil, Rosemary Essential Oil, Stimulate Scalp, Strong Hair, Wild Thyme essential oil on July 13, 2016 by Lorrie Hargis.